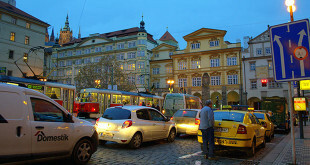 Prague suffers from heavy traffic and on week days the main streets are one big traffic jam. 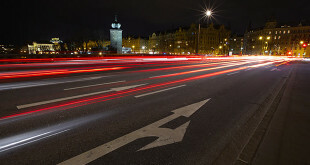 Moreover, Prague still doesn’t have a complete highway outer circuit. It is a really good idea to use the P+R (park and ride) parking places, where you can park your car for a very small fee and use public transport. The P+Rs are situated near all highways and are well marked. Note that traffic wardens are rife and parking in most residential streets in and around Prague city centre (even after dark) without a valid permit will result in a parking fine. In particular, avoid blue-marked areas which are parking-restricted area if you don’t want your car to get towed away within the hour. It is possible to hire a car in advance via a major rental-car company. Local representatives, available at airports and in selected upmarket hotels; may perhaps offer less expensive deals. In order to hire a car you must be at least 18 years old, have a valid driver’s licence and photo identity document.